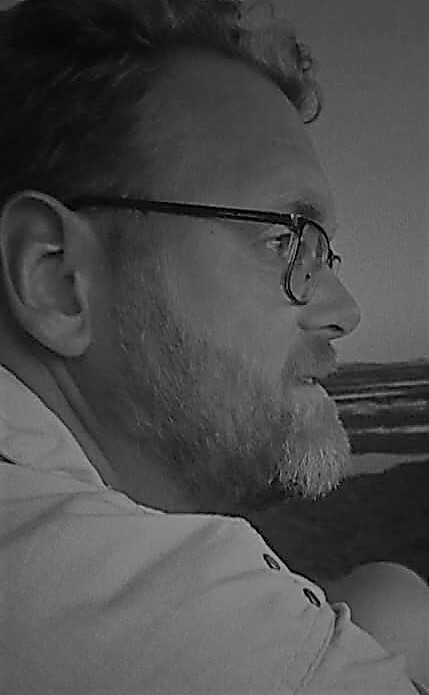 A short message on the website of the Diocese of Rotterdam announces that Msgr. Philippe Bär OSB, emeritus bishop of Rotterdam, has been admitted to hospital because of heart problems “which require surgical attention”. It does not seem to be too urgent, since the surgery is set to take place “one of these days”, but a long period of recovery “is expected”. The bishop is said to appreciate any prayer for his recuperation. 82-year-old Bishop Bär lives in the Benedictine monastery of Chevetogne in Belgium. He was auxiliary bishop of Rotterdam from 1982 to 1983 and bishop of the same diocese from 1983 to 1993. 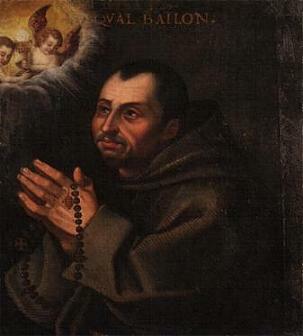 During that time he was also military vicar, and later military ordinary, of the Netherlands. Berlin is vacant: herald of things to come? With today’s acceptance of the resignation of Georg Cardinal Sterzinsky, a major European capital’s Catholic flock is left without an archbishop. For the time being of course, but the cardinal archbishop, who turned 75 some two weeks ago, leaves an interesting act to follow. When he was appointed in 1989 there was no Archdiocese of Berlin. Sterzinsky, until then a priest of Erfurt-Meiningen (now simply Erfurt), became the bishop of a divided diocese in an East Germany that started to show the cracks that would lead to the German reunification in 1990. Because of the important role of Berlin in the new Germany, and its position in history among other German cities, Bishop Sterzinsky was elevated to Cardinal in 1991, aged only 55. The reorganisation of the dioceses that followed the Wende saw Berlin elevated to an archdiocese and Sterzinsky as its first archbishop. Berlin, which includes the city of the same name, north and central Brandenburg and eastern Mecklenburg-Vorpommern (including the Baltic island Rügen), is now temporarily led by its auxiliary bishop, Msgr. Matthias Heinrich, who is obliged to convene the cathedral chapter to elect a diocesan administrator, who will run the archdiocese until the pope appoints a new archbishop. In north and western Europe, where bishops and Catholics are a bit thinner on the ground than in the south, there are a number of bishops approaching the required retirement age of 75, and also some who are already past that age. In Germany, for example, they are Bishop Wilhelm Schraml of Passau (75) and Archbishop Joachim Cardinal Meisner of Köln (77). Archbishop Karl Cardinal Lehmann of Mainz and Bishop Joachim Reinelt of Dresden-Meissen will reach that age later this year. Related to that, the Diocese of Görlitz has been vacant since last year. Outside Germany, the situation is comparable, although most surrounding countries have far fewer bishops. In Norway, the Territorial Prelature of Trondheim has been vacant since 2009, with the bishop of Oslo running things temporarily. In the Netherlands, Rotterdam is vacant, although no other Dutch bishops will turn 75 for the next seven years. 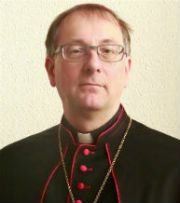 In Belgium, too, the next bishop up for resignation is Bishop Jousten of Liège in November of 2012. The archbishop of Luxembourg, Fernand Franck, on the other hand, will turn 77 in May, and is still in office. In the United Kingdom then, Archbishop Mario Conti of Glasgow, and Bishops Peter Moran of Aberdeen and Edwin Regan of Wrexham are all 75 or over and still in office. Meanwhile, the bishops of Brentwood, Hallam and Portsmouth will all reach 75 this year, while the Archdiocese of Cardiff remains vacant. Ireland, then, with its spate of bishops’ resignations in the wake of the abuse crisis, is a story in itself. The current vacancy of Berlin may be a herald of some interesting changes in the Church in and around the Netherlands, but how long those changes will take is anyone’s guess. All that being said, Cardinal Sterzinsky’s illness leaves him bedridden in the hospital, so his resignation is nothing but understandable, although it is said that he would have liked to be able to welcome Pope Benedict XVI in function when the latter will visit Berlin in September. Posted on February 24, 2011 Categories Catholic Church in the Netherlands, World ChurchTags abuse, archbishop fernand franck, archbishop mario conti, archdiocese of berlin, archdiocese of cardiff, belgium, bishop alois jousten, bishop edwin regan, bishop joachim reinelt, bishop matthias heinrich, bishop peter moran, bishop wilhelm schraml, bishops, diocese of brentwood, diocese of erfurt, diocese of görlitz, diocese of hallam, diocese of portsmouth, diocese of rotterdam, georg cardinal sterzinsky, germany, health, history, ireland, joachim cardinal meisner, karl cardinal lehmann, luxembourg, norway, papal visit, pope benedict xvi, territorial prelature of trondheim, united kingdom4 Comments on Berlin is vacant: herald of things to come? Bishop Hurkmans’ takes medical leave – a prelude to the future? On the advice of his GP, Bishop Antoon Hurkmans of ‘s-Hertogenbosch has taken a leave of absence from his duties as ordinary of the diocese. These duties will be taken over by Auxiliary Bishop Rob Mutsaerts, who will form the temporary staff with fellow Auxiliary Bishop Jan Liesen and and economic director Deacon Peter Broeders. Bishop Hurkmans announces that, in the past two years, he has repeatedly crossed his own physical and medical boundaries and is now paying the price. A leave of absence is now possible with the two new auxiliary bishops, appointed and consecrated earlier this year. It is unknown how long the leave will take, but the bishop won’t be spending it at his episcopal residence in the centre of ‘s-Hertogenbosch. Some see Bishop Mutsaerts taking over the duties of Bishop Hurkmans as a prelude to the future: a future in which Mutsaerts is appointed is Bishop Coadjutor and eventually the new bishop of ‘s-Hertogenbosch. While it seems a natural conclusion to draw, it is by no means as simple as that. The appointment of a new bishop is a fairly extensive procedure in which the diocese in question, the nuncio and Rome can all present candidates, and even then someone not on the lists may be appointed. 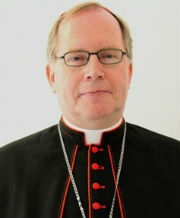 As of now there is no indication that 66-year-old Bishop Hurkmans intends to offer his resignation to the pope. Posted on December 6, 2010 Categories Catholic Church in the NetherlandsTags bishop antoon hurkmans, bishop jan liesen, bishop rob mutsaerts, bishops, deacon peter broeders, diocese of 's hertogenbosch, health, pope benedict xvi1 Comment on Bishop Hurkmans’ takes medical leave – a prelude to the future?